Here at Jackson Eaton-Gordon & Associates, PLLC we understand that being accused of a crime can be incredibly overwhelming and scary. By retaining a respected criminal defense attorney as soon as possible you are taking your freedom, your rights, and your reputation back into your own hands. The State's criminal justice system can be a harsh place especially for those unfamiliar in navigating it. We at Jackson Eaton-Gordon & Associates, PLLC have over 118 years experience defending both misdemeanor and felony cases and we are prepared to strategically defend your innocence. Being charged with a crime is a serious matter and we offer immediate representation to handle your case from the initial investigations and arrest, through any trial proceedings if needed as well as help you manage all post-conviction matters. Our confident and strategic criminal defense attorneys at Jackson Eaton-Gordon & Associates, PLLC will be able to guide you through your toughest legal challenges. Whether it is a case of false accusations, being in the wrong place at the wrong time or whatever the situation may be, we offer judgment-free consultation and representation. 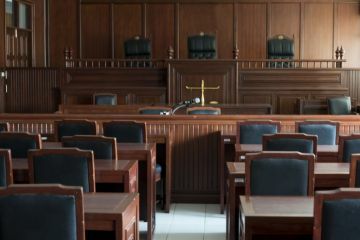 At Jackson Eaton-Gordon & Associates, PLLC we believe in the preservation of the constitutional rights for all, in that if you are charged with a crime you should be considered innocent until proven guilty. We represent people in the surrounding areas who have been charged with misdemeanor and felony offenses. When you contact Jackson Eaton-Gordon & Associates, PLLC for legal services you can rest assured we will advocate for you and help determine the best strategy to defend your specific case. Don't hesitate to protect your reputation and your rights by calling us now at (517) 234-1981.